Harmony Road Studio: 29Faces-Day 23 RU kidding me? So here is today"s sketch. I think I would like to paint this some day but I am not going to try to rush each day, rushing makes me antsy and not enjoy what I am doing. I seem to get a bit slower as I get older and more methodical about what I am doing. I attempted an Asian face, if you have traded ATC's with me you know I love Asian/Oriental themes. I saw this one artist who was featured in Suzi Blu's book and it caught my eye. Of course it was all painted up and beautifully done but I wanted to attempt the face and it is no where near what it looks like in the book, but ,I didn't want to copy it either, I just reached for some inspiration to draw from. Excuse the graph paper but I seem to do a better job lining things up. 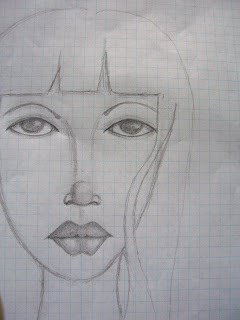 Until I get a little more skilled at symmetry, this is one paper besides sketching paper I will continue to use. It's great lesley and graph paper helps a lot. 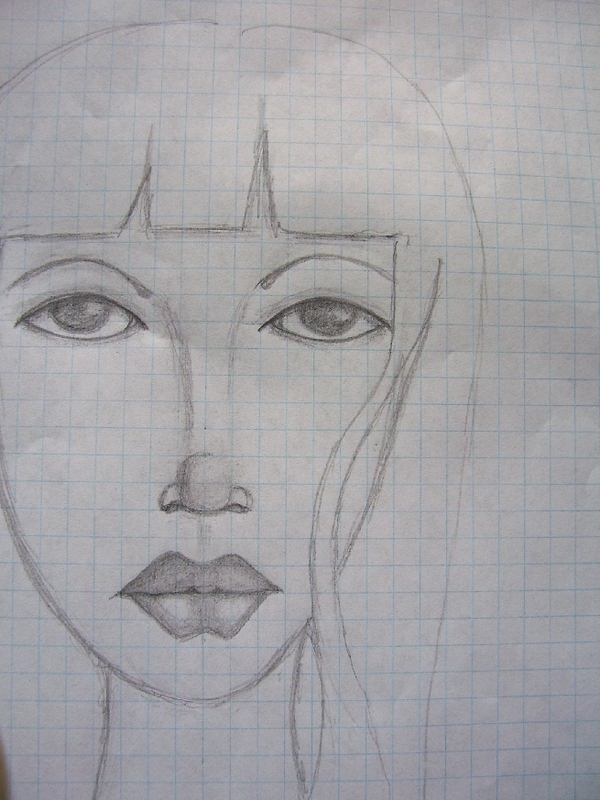 I remember drawing my first face and I think I've come a long way since then but I have practiced like crazy lol. I've sent you a message on FB check it out. I like your face - can't believe it is almost over. I remember seeing Tam's first post on facebook. Wow, Les, I'm impressed with how well you are doing with this challenge, I'd be lucky if i could manage 3 or 4 faces, let alone 29! !Loving your girls luscious lips! !